For those who truly love rodeo, it is not just something you do - it is a way of life that becomes an integral part of who you are. Meagan was born to parents who had the rodeo bug, so she started traveling to rodeos before she was born. As an infant and toddler, she would catnap after the rodeo so that she could be awake during the slack! Before long, she was proudly riding her pony in the Grand Entry and "expeditioning" in the barrels. Meagan started competing in the (North) Georgia Junior Rodeo Association in 1997 when she was 8 years old. 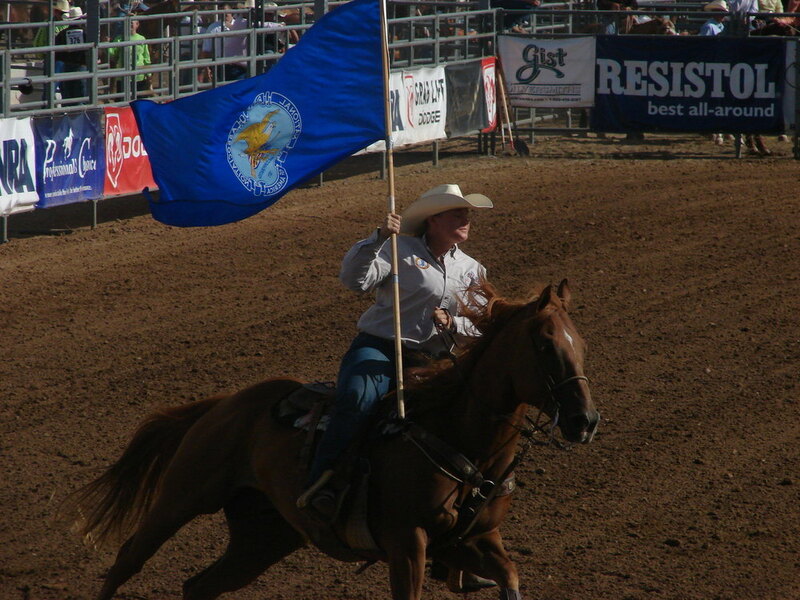 At her first rodeo, she competed in goat tying and barrel racing and was completely hooked. From that point until she graduated to High School Rodeo, she never missed a Jr Rodeo and quickly expanded her skills to compete in all five girls events. 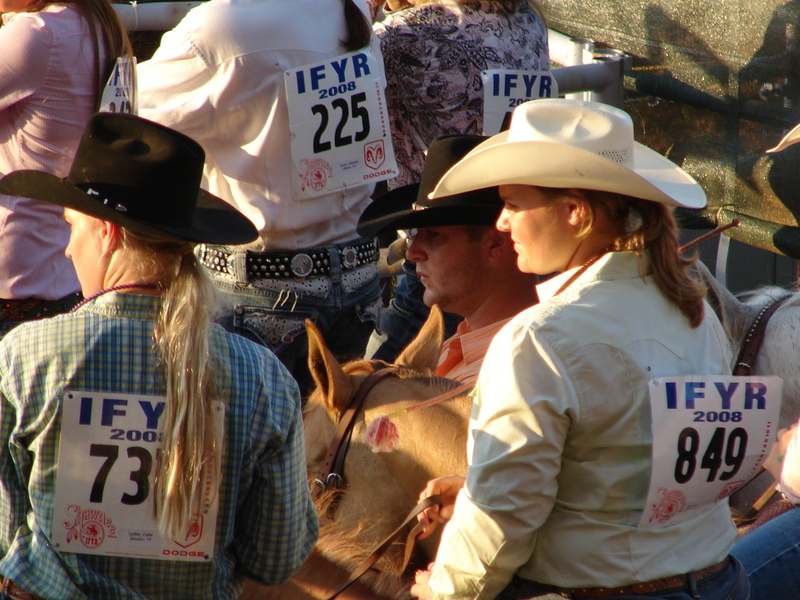 The tough competition at these rodeos made her work hard to be the best she could be. In her seven years with the GJRA, she won two all-around saddles and multiple buckles. More importantly, she learned to win and to lose, forged incredible friendships, increased her horsemanship skills and gained maturity and independence. The GJRA years were a very special time for Meagan and for our entire family. During high school, Meagan competed in the Georgia High School Rodeo Association for three years and competed in the Texas High School Rodeo Association (Region VI) during her junior year. She qualified for the GHSRA State Finals in all her events each year and for the National High School Finals Rodeo in 2006 and 2008. In 2007, she qualified for the THSRA State Finals in breakaway roping. Meagan was known not only as a fierce competitor in the arena, but as someone who was constantly encouraging and supporting the other contestants, even those she was competing against. The high school rodeo years carried her all over the state of Georgia, to Gonzolas and Austin, TX, Springfield, IL and Farmington, NM. As a senior in high school, Meagan was offered a rodeo scholarship by Mesalands Community College. In the fall of 2008, she arrived in Tucumcari, NM to start her freshman year of college as a member of the MCC Rodeo Team. The opportunity to practice and compete as a member of a team was a dream come true for Meagan. Under the direction of Coach C J Aragon and with the support of her teammates, Meagan continued to improve her skills. At the region finals in 2009, she was the Girls All-Around Reserve Champion for the Grand Canyon Region and made the two fastest goat tying runs of her career.